Make yourself at home in one of the 5 air-conditioned rooms featuring minibars (stocked with some free items) and flat-screen televisions. Complimentary wired and wireless Internet access keeps you connected, and digital programming provides entertainment. Private bathrooms with showers feature complimentary toiletries and hair dryers. Conveniences include desks and separate sitting areas, and housekeeping is provided on a limited basis. With a stay at Hotel Relais II Chiostro di Pienza in Pienza, you'll be just steps from Palazzo Piccolomini and Piazza Pio II. This 4-star hotel is 15.9 mi (25.5 km) from Baths of San Filippo and 0.1 mi (0.1 km) from Palazzo Comunale. Make yourself at home in one of the 10 air-conditioned rooms featuring private pools and flat-screen televisions. Complimentary wireless Internet access keeps you connected, and satellite programming is available for your entertainment. Conveniences include desks and refrigerators, and you can also request cribs/infant beds (surcharge). With a stay at Hotel Arca di Pienza in Pienza, you'll be within a 10-minute walk of Palazzo Piccolomini and Piazza Pio II. This hotel is 16.3 mi (26.2 km) from Baths of San Filippo and 0.3 mi (0.4 km) from Palazzo Comunale. Make yourself at home in one of the 30 air-conditioned rooms featuring minibars. Complimentary wireless Internet access keeps you connected, and satellite programming is available for your entertainment. Private bathrooms with bathtubs or showers feature designer toiletries and hair dryers. Conveniences include phones, as well as safes and desks. 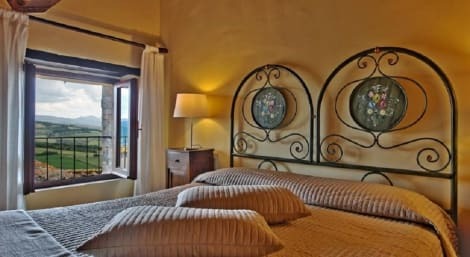 lastminute.com has a fantastic range of hotels in Pienza, with everything from cheap hotels to luxurious five star accommodation available. We like to live up to our last minute name so remember you can book any one of our excellent Pienza hotels up until midnight and stay the same night.